Rob Harris is known to everyone as the guy you can call on in a time of need. He will be there to help you or your family without hesitation no matter the situation. Through his time as a teacher, brother, husband, and father, he puts his family and friends first before thinking of himself. Unfortunately, the time has come for his friends and loved ones to return that dedication to help Rob and his family. 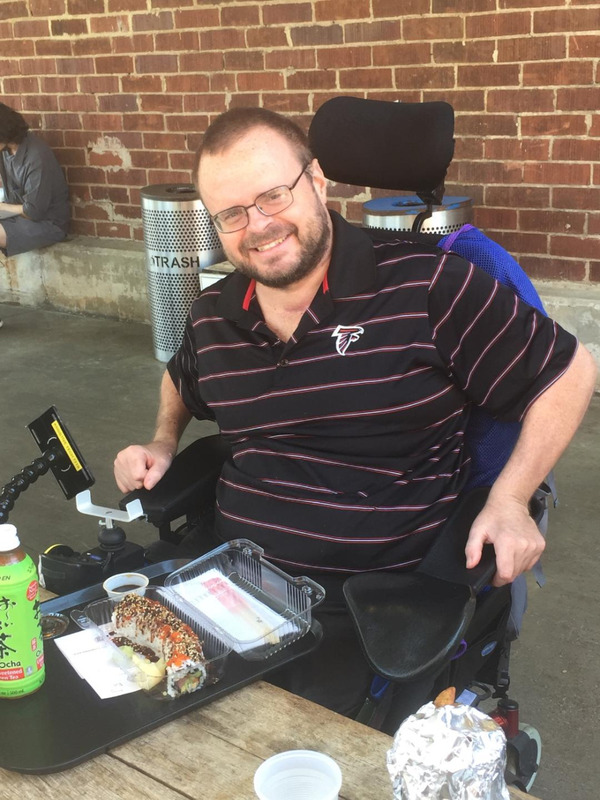 On December 19th, Rob was at home enjoying his family on holiday break when he started having neck pain which quickly turned into the loss of feeling in his legs. 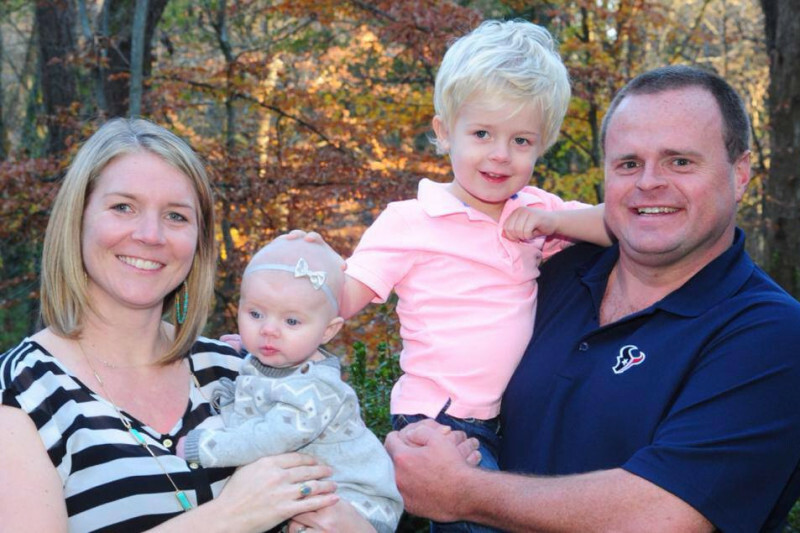 After being rushed to the hospital, Rob was diagnosed with an extremely rare case of MRSA infection in his spine. He had emergency surgery to remove an abscess and piece of his bone to relieve the pressure. Due to the infection, he is currently paralyzed from his chest down and unable to breathe on his own without the help of a ventilator. He recently had another surgery to transition to a tracheotomy. Rob is still in the Intensive Care Unit, but will be transferred to a spinal rehabilitation center for his long journey of recovery. The doctors are confident that his feeling will return in a few months, but he will need to learn to walk again which will be a long process. Rob has a sweet family who could use our help. His wife Mika is caring for their two children, Jackson (4) and Carson (1) until Rob is healthy enough to return home. 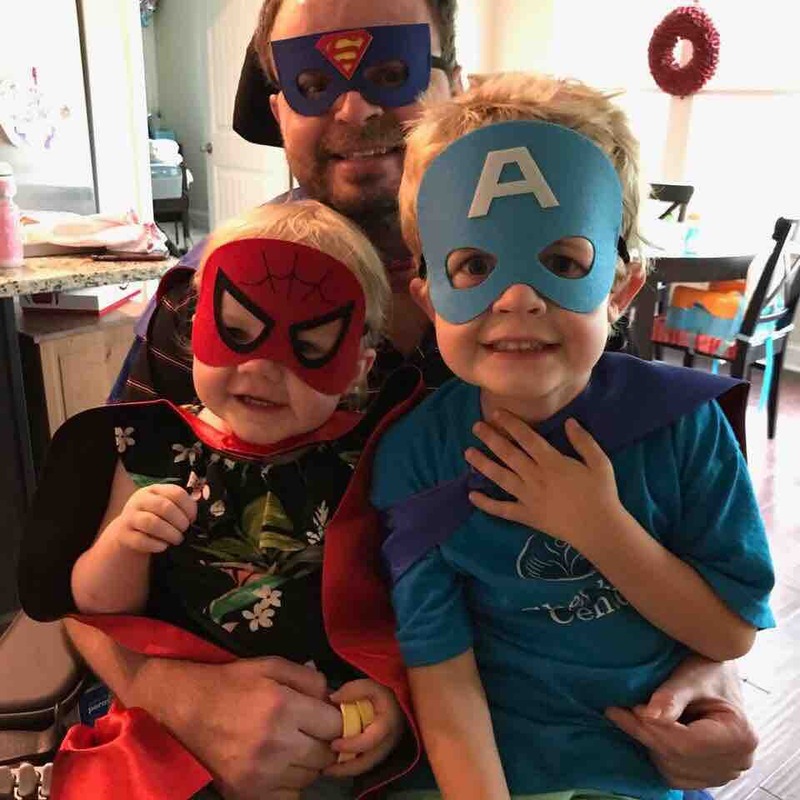 Because of the length of the recovery, Rob's family will encounter high medical expenses as well as the ongoing finances of raising a family. There is also the uncertainty of his long term return to work. Although Rob has a tremendous support system from Mika's parents and his mother Emily, the money raised through this fund from friends and loved ones will be used towards the countless medical bills and general support for his family while he is out of work. Since Rob is in a tough position, we know that he will greatly appreciate any amount of help for his family through this hard time. This page will be used to provide updates on his progress. Thank you for any contribution! Hey everyone! I hope you are enjoying the holiday season, I know a family who is in great spirits! We are coming up on a year since Rob went through his life threatening spinal infection. 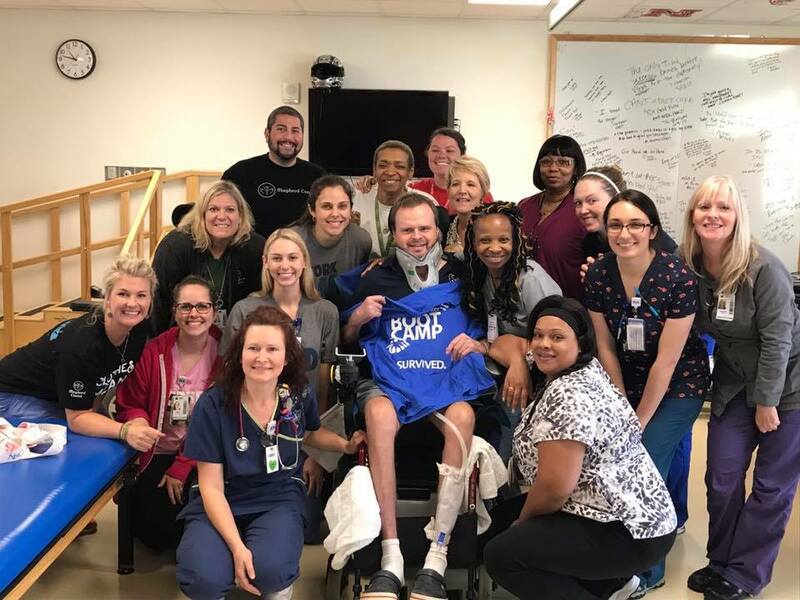 It’s been a long tough year with many obstacles including multiple surgeries and fractured bones, but Rob has persevered and is continuing to fight this long battle. A portion of the money donated to this page went towards a down payment on an imperative (and expensive!) modified van for transferring Rob to and from doctor appointments as well as much needed outings to soccer games, bowling allies, and Mika’s school for a very meaningful teaching session with kids. As you know, the new year comes with new deductibles and new expenses. Please continue to share and donate to this sweet family this holiday season. They have been through the unthinkable this year but are still positive and thankful for everything they have, including a wonderful and loving support system in all of you! I will leave you with words directly from Rob. Please take some time to wish them well this Christmas by donating or sharing! Rob is going home! It's hard to believe that it's been about a half a year since Rob first began this fight. From here on out physical therapy will be done either in the home or back at Shepherd as an outpatient. Preparations have included acquiring a modified van and widening some doorways in the house for his wheelchair. Mika has taken courses in how to best care for Rob at home, and he himself has enough arm function to perform many of the necessary procedures. Much remains up in the air as far as Rob's future improvement. He is still recovering from his last two operations, and full-tilt physical therapy can't continue until December. However, Rob's resolve is certainly not up in the air. He is determined to regain independence. He is determined to reclaim his home and family life. He is determined to embrace his wife and kids not just on visitation days, but every day. The out of hospital expenses are largely uncovered, and we continue to pass the hat for this stellar family. If you have given, thank you so very much. If you are giving again, dang, you are a bad mammajamma. Or, if you can simply share this campaign that would be wonderful too. Rob and his family continue to be humbled by your generosity and support. Rob and the Shepherd team celebrate. Thank you for your continued support of Rob and his precious family. They are floored by your generosity, and you fine folks are owed an update. If what doesn't kill us does in fact make us stronger, we can expect to see our beloved Rob weightlifting at the 2020 Summer Olympics. There's really no way to spin the barrage of hurdles being thrown at Rob over there at the Shepherd Center, so here is a rundown. The surgery on the skin infection that nearly made it into Rob's lower spine will limit his physical therapy through December. How his body is positioned is crucial to ensuring proper healing, and that in turn takes certain exercises off the table. Additionally, muscle spasms had been frequently getting in the way of Rob's therapy. So a hockey puck-sized device was just surgically implanted in Rob's abdomen, to time-release medication that will limit those spasms. This should help to maximize the therapy sessions still allowed while recovering from the skin surgery. On top of those two recent surgeries, a third new one is on the horizon. Rob will soon go under the knife in order to strengthen the bone at the base of his neck. This was weakened by the initial infection, and a rod or plate will be inserted to stabilize it. You can imagine the toll this is taking on both Rob and his family. The Shepherd Center is full of people and their loved ones, fighting to heal, or at least reclaim some level of normalcy after the unthinkable. It is messy, it is difficult, and getting through it takes a village. You have been part of that village and your contributions have been a Godsend. Any additional giving, or even just the simple sharing of this post, would be a blessing. Rob is also visit-able at Shepherd, if you are so inclined and think Rob might like seeing your smiling face. He is available after 4pm on weekdays and all day on weekends. He would love to see some of the many friends and loved ones who've been supporting him along this journey. But please, no visitors who ever a) stole a girlfriend from him or b) are trying to collect on a personal loan. NEW VICTORIES, NEW CHALLENGES, NEW GOAL. Hello to all of you stupendously supportive people. It has been a spell since our last update, and there's much to cover. You don't truly appreciate fresh air and the kiss of the sun until you're deprived of it. Since the last update, Rob has been able to venture out into the world via wheelchair. A stroll with Mika, a meal with dear friends, these are simple things that have meant the world to Rob as he fights to recover. He was thrilled to recently surprise his niece at her softball game. The weight of that moment was lost on no one. These trips outside of the spinal center have been accompanied by progress inside it. Rob has improved control of his arms and hands, as those who've texted with him can attest. Leg movement has improved, if slightly. Again, baby steps are huge victories in these cases. On the down side, months of very little movement can cause skin issues. A bed sore became infected, and was dangerously close to Rob's lower spine. Two surgeries were required to deal with the infection and replace the skin. This has limited Rob's physical therapy for the time being. He was disappointed, but his spirits remain up as he heals from that. As you may have noticed, our goal has been raised. Indications are that when Rob is released from Shepherd (it's still unclear exactly when that will be), he will do so still in a wheelchair. He will be doing outpatient therapy to work to regain movement, but will once again be at home with his family. It's also a home with a second floor. It's also a home with bathroom entrances that will have to be widened to make room for a wheelchair. Ramps, support bars, the wheelchair itself, are other financial considerations looming. Much of this will fall outside of standard medical coverage. On top of that, upon admission to the stellar Shepherd Center, families must agree to provide a nurse for the patient for at least a month upon their return home. Mika has been taking classes to learn how to best care for Rob, but with a full-time job and two gloriously cute children scampering around, a nurse will be a necessity. A certified nurse can be up to $14,000 per month, and will not be covered under their insurance. Depending on the extent of Rob's recovery, a specialized vehicle may also be needed. "Today marks exactly two months since I've been here at Shepherd Center in Atlanta. I was in the ICU at Northside Hospital Forsyth for six weeks before coming here... I want to say a huge THANK YOU for all of your thoughts, prayers, calls, texts, donations, and visits. They are the reason that I have made it this far. I am still currently using a wheelchair to get around. I will probably need the use of a wheelchair for many months to come, due to the damage to my spinal cord. The doctors and nurses are not quite sure what my future holds, but they remain positive, and I feel like I'm getting stronger every day." How wonderful!! Go toes, go!! You're doing great Rob!! Continued prayers your way! Wow the generosity of everyone is amazing! Really wonderful to see. I don't know your family, but I wish you the very best. I can just see you wheeling all over the joint Rob - enjoy your new freedom and heal, heal, heal! Best wiggling toes I've ever seen Rob! Wishing you a speedy recovery. Wow - just like Tom Hanks dancing on the giant piano Rob! Great news!! So happy for all of you! Glad to see you making such good progress! Keep it up! I'll be thinking of you. Fight hard Rob! So many prayers answered! You can do it! Yay Rob!! You look fantastic!! I know you have the spirit to keep working your way back! Holding you in my heart and in my prayers!! Thank God for His grace and Mercy, praying for my friend and know he will be fine, just trusting in our Awesome Father. Thanks for the update!! great news! so glad he is exactly where he needs to be! I taught with Rob years ago. Praying for you and your sweet little family. Positive thoughts for you in the new year! Rob, you and your family continue to be in my prayers - you are amazing and strong. I hope you continue to make good progess.